Although many people are aware that the growing and cultivation of some plants is illegal, there is a certain amount of confusion as to what is acceptable in terms of the law. Although some plants can be used for the manufacture of illegal substances, having them in your possession doesn’t automatically mean that you are using them for that purpose. Others, such as cannabis, have strict penalties for possession or cultivation ranging from fines, to 20 years imprisonment. 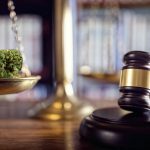 If you have recently been charged with possessing or cultivating prohibited plants, it is important that you understand the penalties, and how the law views possession of these plants. Prohibited plants are those that can potentially be used for the manufacture of illegal drugs. Cannabis is one of the most common, but others include Erythroxylum (from cocaine can be derived) and Papaver bracteatum (can be used to make opium). 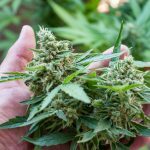 The list of prohibited plants is extensive and regularly updated, so if you are in any doubt about whether it is legal to grow a plant, it is always a good idea to check. What if the plants are not on my property? Even if the plants are not kept on your property, you are still considered to be cultivating them if you are keeping them alive or contributing to their growth and survival, for example watering them or feeding them. What are the penalties for cultivating prohibited plants? There are a number of different factors that are taken into consideration when deciding on the charge for possessing and cultivating prohibited plants. The main consideration is the number of plants, and whether they are for personal or commercial use. 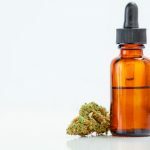 The penalties you will face also depend on whether the plant is cannabis, or another prohibited plant, and whether it is dealt with in the district or local court. Small quantity (less than 5) of plants: local court – two years prison and/or $5,500 fine. District court – 10 years prison and/or $220,000 fine for cannabis plant or leaf, or 15 years prison and/or $220,000 fine for other plants. 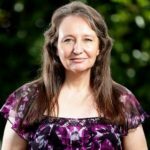 Between five and 50 plants: local court – two years prison and/or $11,000 fine. District court – 10 years prison and/or $220,000 fine, if cannabis. For other plants, 15 years prison and/or $220,000 fine. Between 50 and 250 plants: local court – two years prison and/or $11,000 fine. 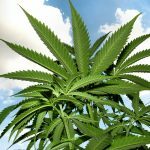 District court – 10 years prison and/or $220,000 fine for cannabis, and 15 years prison and/or $220,000 fine for other plants. 250-1000 plants: only tried in district court. 15 years prison and/or $385,000 fine for cannabis, and 20 years prison and/or $385,000 fine for other plants. 1000 plants or more – only tried in district court. 20 years prison and/or $550,000 fine for cannabis plant or leaf. For other plants life imprisonment, and/or $550,000 fine. The number of plants, rather than the maturity and gender, is what is taken into consideration when deciding the charge. If you have different plants at different sites, you will be penalised on the cumulative number of plants that are in your possession or that you are cultivating. For more information about prohibited plants and the law, or to speak to an experienced drug defence lawyer about your prohibited plants case, please contact us today.